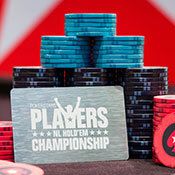 The PokerStars Players No Limit Hold’em Championship (PSPC) is a can’t-miss event taking place in the Bahamas in January 2019. PokerStars is adding an incredible $8 million to the prize pool, plus an extra $1 million to the first place prize! PokerStars is giving away more than 300 $30,000 Platinum Passes (entry into the tournament and a trip to the Bahamas) to everyone from full time grinders to recreational players. You could be one of them!